Are your ready for something sweet? It’s me, Brownie! 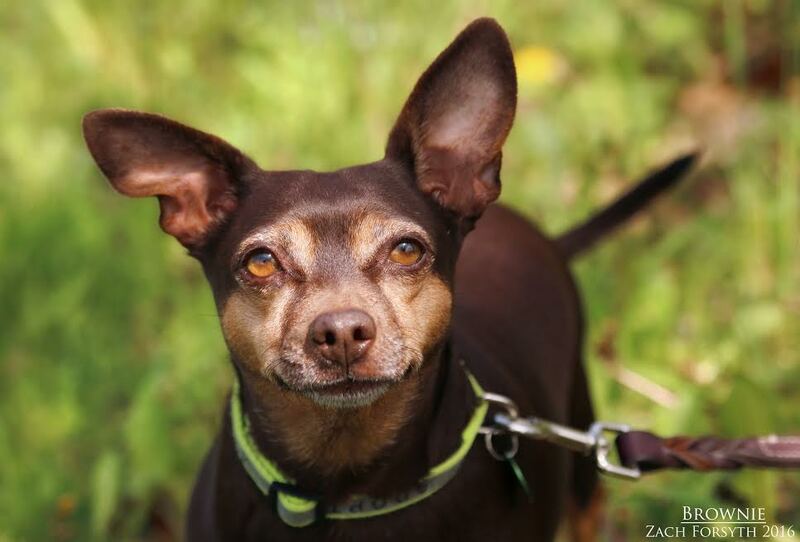 I’m a Dachshund Chihuahua Miniature Pinscher Mix who is a very loving and friendly tootsie roll (I mean, dog)! I love to be in your lap and cuddle, hardly ever bark, and love to sleep under my blanket with you in bed. I get along with other dogs, love to go for walks and lay in the sun (just don’t let me melt!) I don’t like to be cold, not much of a swimmer, and loud noises kinda of scare me. I love to fetch my stuffed toys and I’m very smart . Like tricks? I will stand up on my hind legs for treats, am very friendly towards everyone and have a playful spirit. I’m looking for someone to follow around everywhere – I’m a very devoted girl looking for my fur-ever home. I come to you spayed, vaccinated, and micro-chipped with an adoption fee of $250.